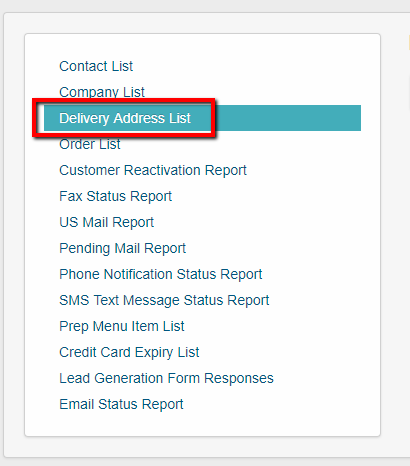 In this article we will go over the Delivery Address List report. You can look up this report by the company name or by when the company was created. 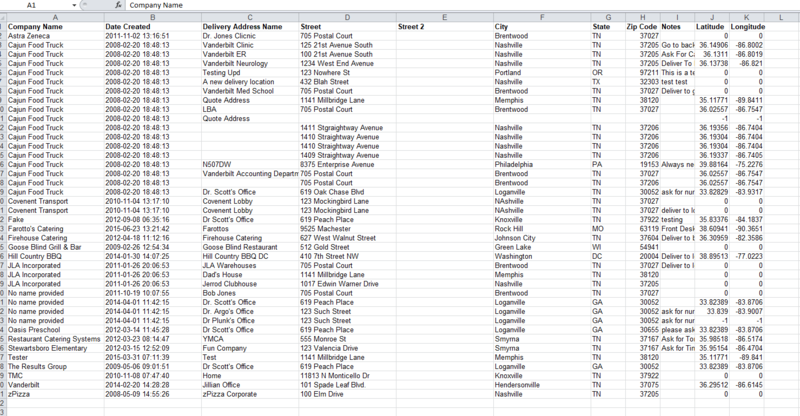 The report will show: Company Name, Date Created, Delivery Name and Address, Notes for Delivery, Latitude and Longitude. 2 - Next click on the Delivery Address List link. 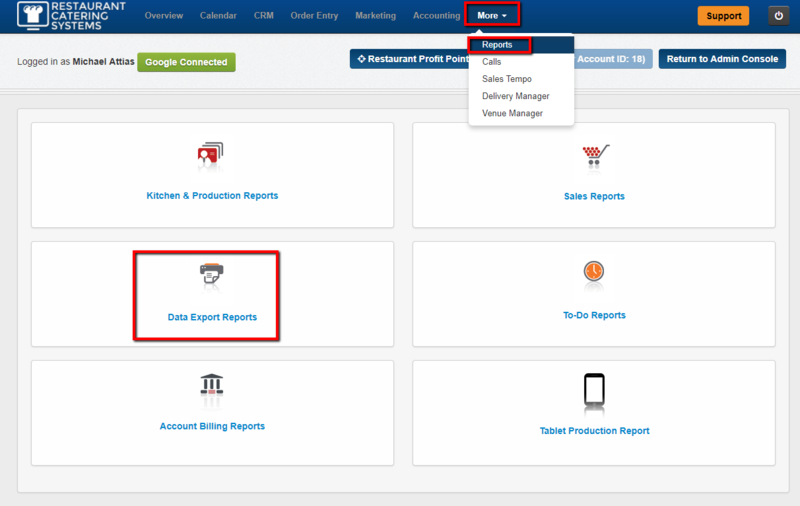 3 - You can then choose to look up by Company Name - Date the Company was added to the CRM. Please note to check off the box to the left of the parameter for the option you want to look up. When done click on the Generate Report tab. 4 - Your report will then download to your computer. Note you can have your report emailed to you by clicking the Click Here link. 5 - You can now view your report in the Excel file. You have now learned how to use your Delivery Address Report.